Keratoconus is an eye disease that is highly progressive. The cornea, which is typically round, becomes thin in the centre and bulges into a cone-like shape. This shape causes the front surface of the eye to deflect and scatter light as it comes into the eye, causing visual distortions and blur. Keratoconus can be present in one or both eyes and usually starts in adolescence or early adulthood. As the cornea takes on a more irregular steeply curved shape, shortsightedness and astigmatism develop leading to blurred and distorted vision. Light sensitivity and glare may also be a problem. Often times, patients that are keratoconic will often experience more frequent changes in glasses prescription. Research suggests that keratoconus is caused by weakened, or over-elastic, tissues within the cornea allowing the structure to bulge forward over time. This may be related to an enzyme imbalance in the cornea, which puts the cornea at a higher susceptibility to oxidative damage from free radical compounds. Oftentimes, more than one person in a family is affected by keratoconus, which has led optometrists to speculate that many cases are due to a genetic predisposition. However, other factors such as UV exposure, a history of ill-fitted contact lenses, chronic irritation of the eyes and eye rubbing have also been implicated as contributing factors in developing keratoconus. For mild forms of keratoconus, soft contact lenses and glasses are usually adequate. However, as the condition continues to progress and the thinning of the cornea gets worse, making the shape even more irregular, glasses and soft contact lenses will no longer deliver adequate visual correction. In these cases, treatments for keratoconus include: Custom Soft Contact Lenses: Contact lens makers have recently put out custom soft contact lenses that are designed especially for those who need mild or moderate keratoconus correction. They are produced on a made to order type basis and done with fine detailed measurements of the user’s keratoconic eyes. They might be even more comfortable than gas permeable lenses for some people. Gas Permeable Contact Lenses: If soft lenses or glasses are not controlling keratoconus successfully, gas permeable contact lenses are preferred. The rigid material used to make the lenses allows them to go over and above the cornea, thus replacing the irregular shape with a surface that is smooth and uniform in order to improve your vision. it is time consuming and challenging to be fit for GP keratoconic lenses. 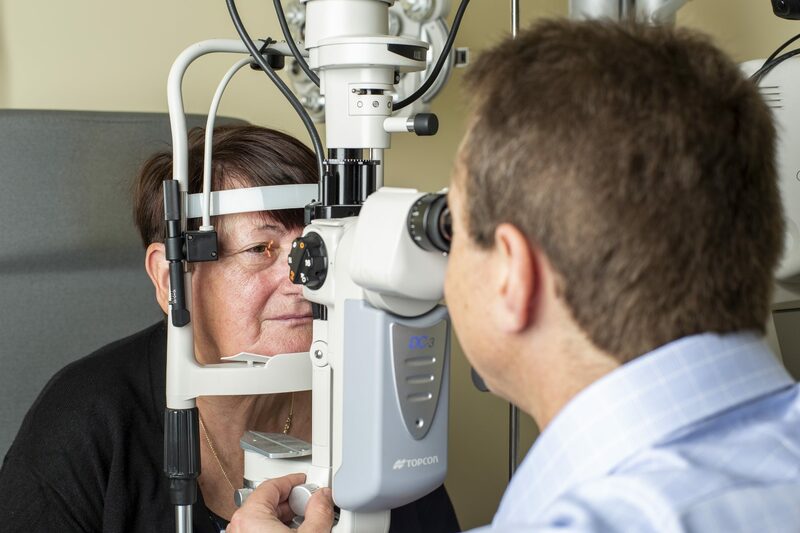 Expect to see your optometrist frequently so everything can be fine-tuned, especially if the condition is growing worse over time. Scleral and Semi Scleral Lenses: These lenses are gas permeable and large in diameter. In fact, they are large enough to allow the edge and the periphery to comfortably sit on the white of the eye. Scleral and Semi-Scleral lenses serve the purpose of covering a bigger area of the sclera and are suitable for very severe cases of keratoconus. Corneal Crosslinking: Corneal crosslinking (CXL) is performed by an ophthalmologist and works by strengthening the tissue of the cornea so that the bulging of the surface is slowed or halted altogether. A combination Riboflavin A and UV light are used on the cornea to reinforce collagen bonds within the cornea and improve its structural rigidity. The need for corneal transplants in keratoconus patients may be reduced significantly by corneal crosslinking. Corneal Transplantation: For cases of severe keratoconus, where glasses, contact lenses and other treatments no longer provide adequately clear or comfortable vision, corneal transplant may become necessary. This method is also known as Penetrating Keratoplasty (PK) and aims to replace a patient’s distorted cornea with that from a donor eye. However, even once a transplant is done; it is still likely that contact lenses or glasses will be required for optimally clear vision.